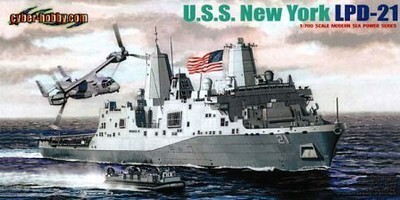 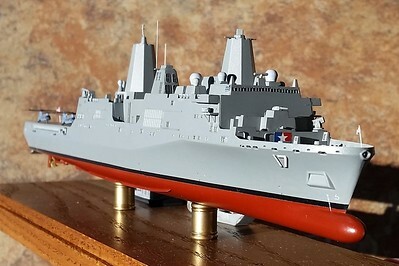 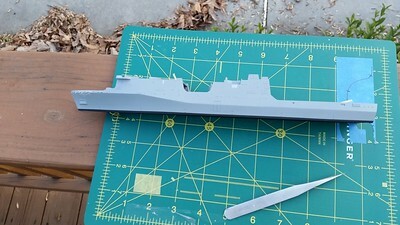 USS San Antonio (LPD-17) in 1/700 from Cyber-Hobby kit of LPD-21. 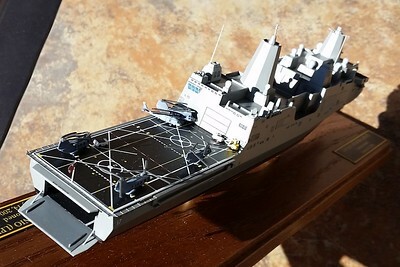 160307: LPD-17 with airwing aboard. 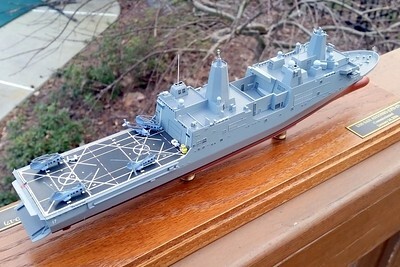 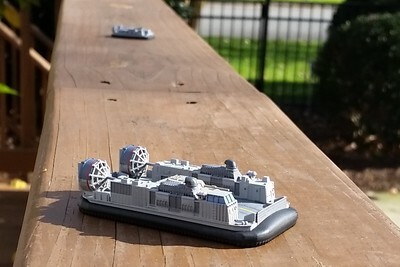 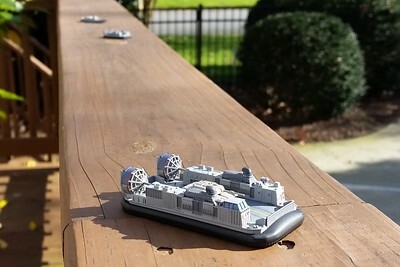 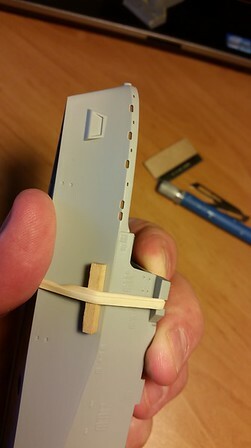 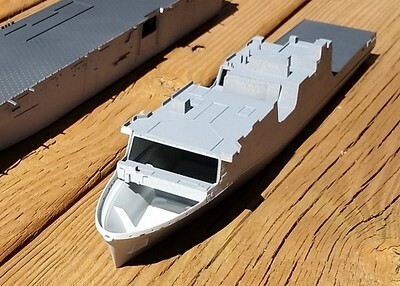 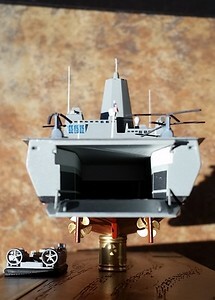 160307: LPD-17 with scratchbuilt representation of Well Deck. 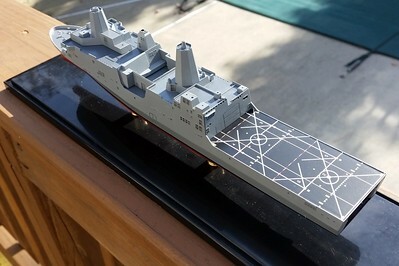 160307: LPD-17 with surface connectors and airwing. 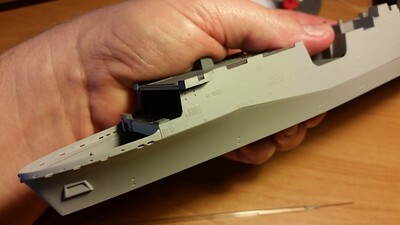 160307: LPD-17 with surface connectors. 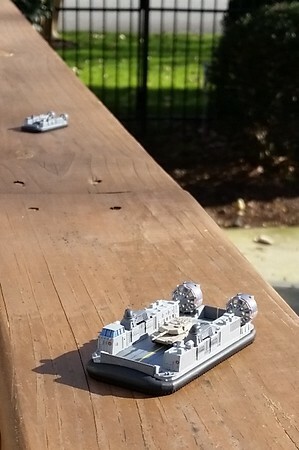 160307: LPD-17 complete. 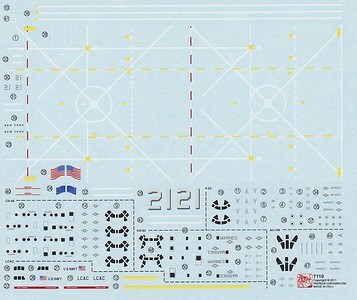 Texas flag was made to size on a laser printer. 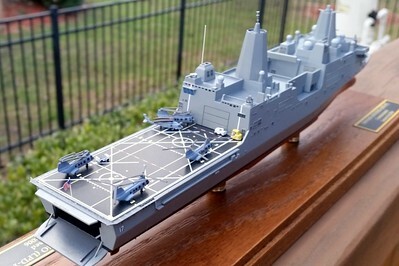 160226: LPD-17 with airwing aboard. 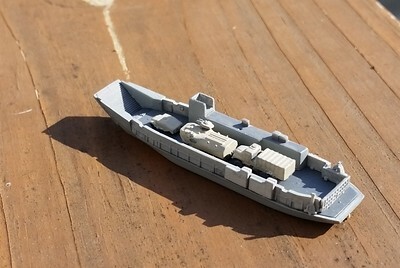 151212: LPD-17 after initial decal application. 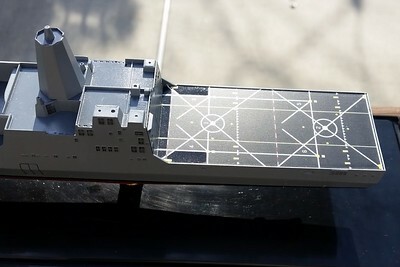 One-piece flight deck decal went on perfectly! 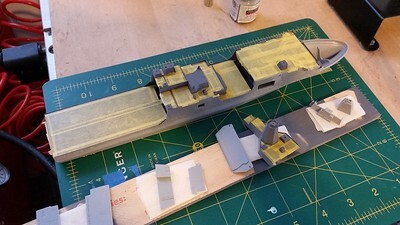 151212: Forced perspective: two LCACs with M1A1 (1/350 and 1/700), plus LCU. 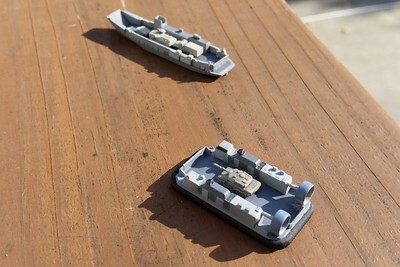 151212: LPD-17 surface connectors in a forced perspective. 141215: LPD-17 coating failure! 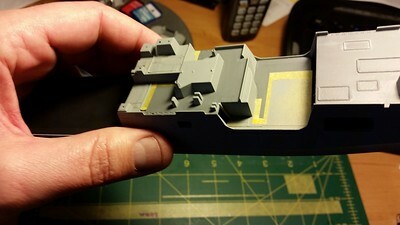 That is MM Acryl coming off a standard neutral grey primer. 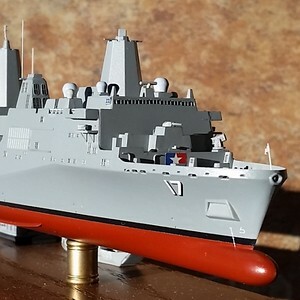 141215: LPD-17 ready to mask the boot topping. 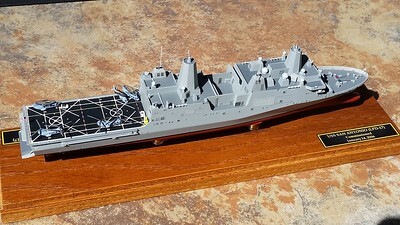 141210: LPD-17 after unmasking. 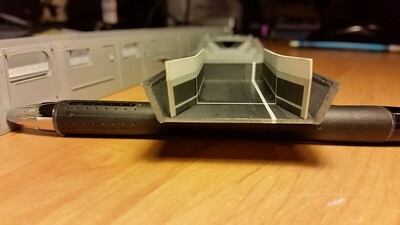 Flight deck area is rattlecan flat black. 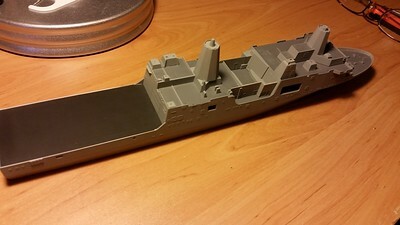 141210: LPD-17 unmasking after spraying Haze Grey (MM Acryl Neutral Grey FS26270). 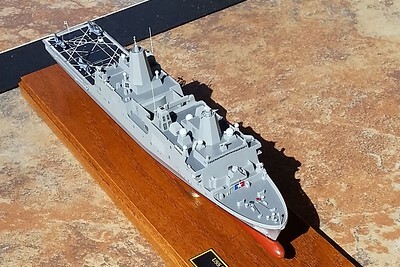 141210: LPD-17 Initial masking. 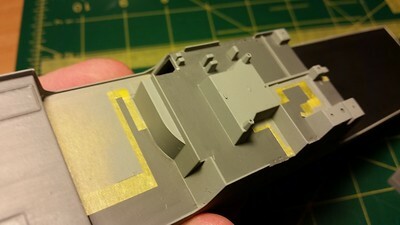 horizontals were sprayed with rattlecan Krylon grey primer (to represent 3-month old non-skid). 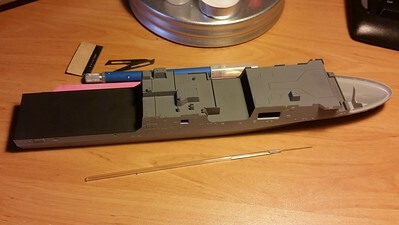 141207: LPD-17 Initial assembly. 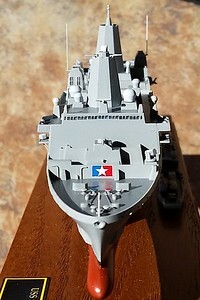 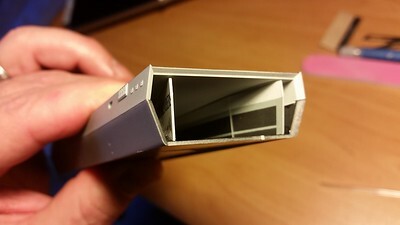 Fit is excellent, expecially along the complex hull knuckle. 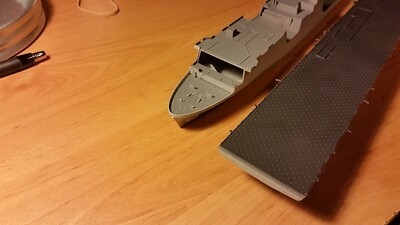 141207: LPD-17 Initial assembly. 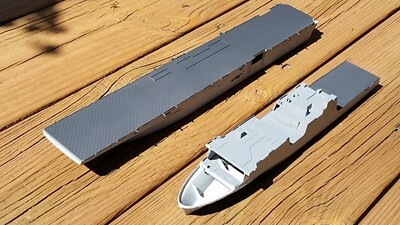 There are four kit parts in that picture: lower and upper hull, and the two boat wells. 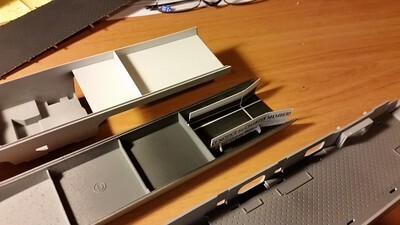 140922: There's no Well deck in this thing, so I had to make one. 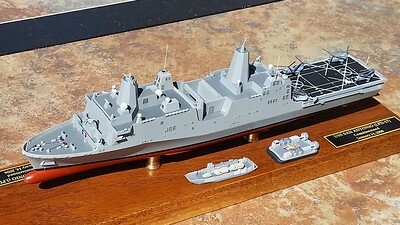 140922: LPD-17 initial assessment. 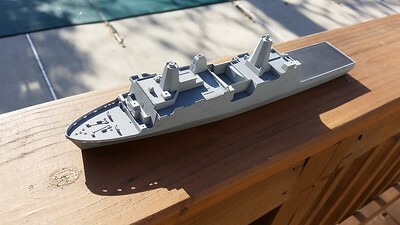 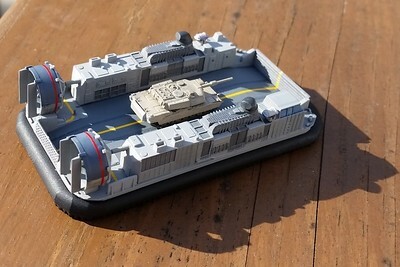 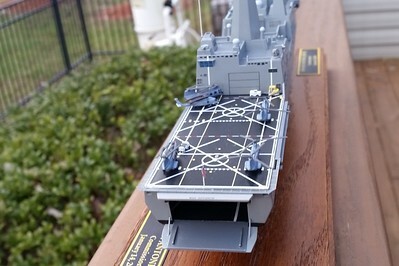 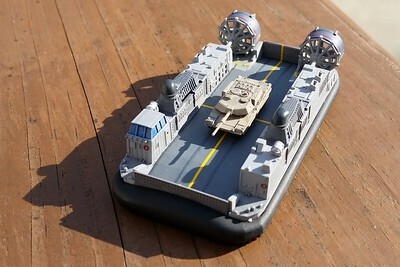 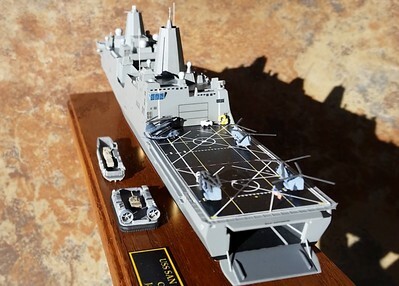 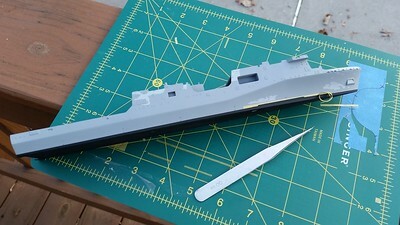 Sitting next to LHD-5 by HobbyBoss. 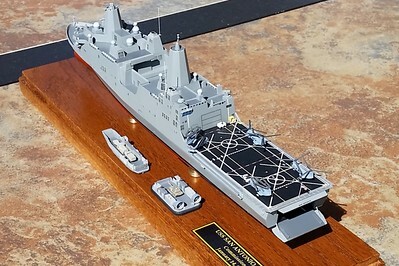 140922: LPD-17 initial assessment. 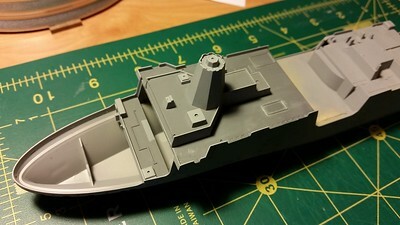 Kit is LPD-21 by Dragon/Cyber Hobby?